Ne-Yo comes through More Than I Should, a self-proclaimed "audio soap opera." Thematically, the song covers the tried and true conundrum of falling in love with one's best friend. While the topic is certainly relatable, Ne-Yo weaves an emotional and vulnerable narrative, enlisting Candice Boyd and RaVaughn Brown to add some layers to the tumultuous love-triangle. With perspectives from the boyfriend, the friend, and the girlfriend, everything culminates in a clever collision of worlds. 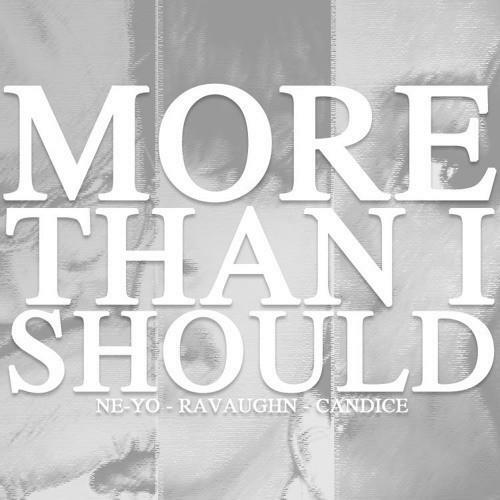 Add in some lush, sensual production, and Ne-Yo's latest is certainly one to vibe too, especially for those interested in conceptual tracks.